Austin Motor Co. officials I.M. Mills, Assst. 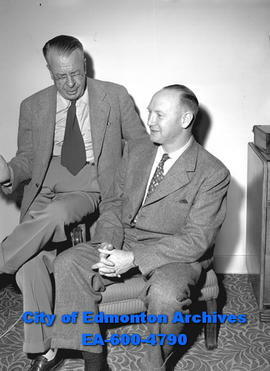 Manager and Pat Malone (L) Edmonton dealer. 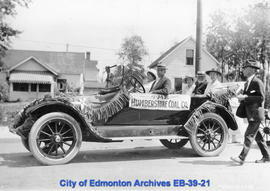 The Humberstone Coal Co. car entry. Mr. Humberstone is seated in the back seat. Auto accident at 101 Street and 111 Avenue. Auto accident at 110 Street and 104 Avenue. Auto accident at 82 Street and Jasper Avenue; driver Robert Pompe. Auto accident at CNR station.